'Beelines For Working Bees' is a 12” that sees four of the most innovative artists in electronic music rethinking and reconfiguring the strands of Lucy’s forthcoming album 'Wordplay for Working Bees'. The relationship between the point of origin and the end point is not a prescribed one: the beelines of Tommy Four Seven, James Ruskin, Peter Van Hoesen and Truss return to the hive of Lucy's album taking the most experimental and cross-pollinated paths. 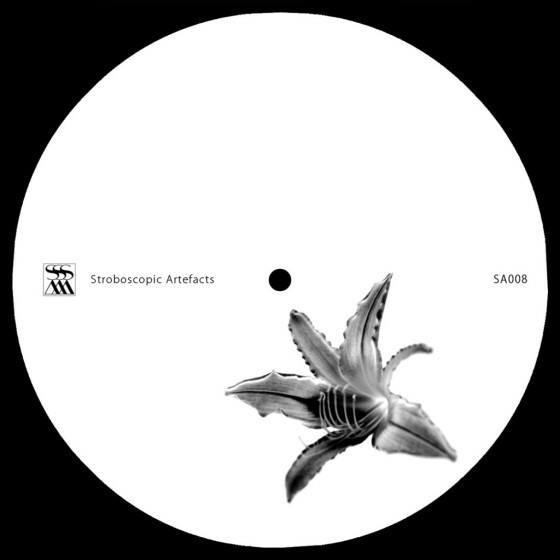 SA008 acts as a case in point for techno, melding and fusing genre boundaries to reveal new hybrid sounds. SA008 presents a utopian vision that's puckering at the seams. The artists chose the tracks that they wished to remix and fused their own defined sound identities with that of Stroboscopic Artefacts. In anticipation of Lucy’s debut album this is a delicious foretaste of what’s to come and a cryptic insight into four of techno’s leading minds. Juno Plus Stunning. What a lovely addendum to the Lucy album. Resident Advisor - Todd Burns Big. Mnml Ssgs Very strong, consistent EP. all of the remixers have done well in creating some heavy techno hitters. FWD Entertainment Love it love it love it. Tea And Techno An exciting and quality remix package such as this will have the world of techno buzzing! Proton Radio Very nice package from one of Techno's brightest stars of the future. Oktave New York Sick package! wow - an amazing group of producers doing damage here.